Local Pet Foundation receives generous grant from national pet foundation. The Almost Home Pet Foundation has been awarded a $2,000 grant from The BISSELL Pet Foundation for use toward spaying and neutering owned pets in the Rhea County community and surrounding areas. The BISSELL Pet Foundation is proud to support the efforts of organizations that work every day to advocate and care for pets. Only through the support of BISSELL pet product sales, is BISSELL able to make these funds available to organizations. Pictured above: front row sitting: Gwen Reeves. back row standing: Don Reeves, Sue Curtis, Jamie Ridley, Jill Rovinelli, Stephanie Riggs, and Doris Roy. Please contact Almost Home Pet Foundation, 423-570-1275, for more information on how to get your pet spayed or neutered. You’re also encouraged to visit them online at http://www.almosthomepf.org and “Like” them on Facebook – https://www.facebook.com/pages/Almost-Home-Pet-Foundation/36532574015. 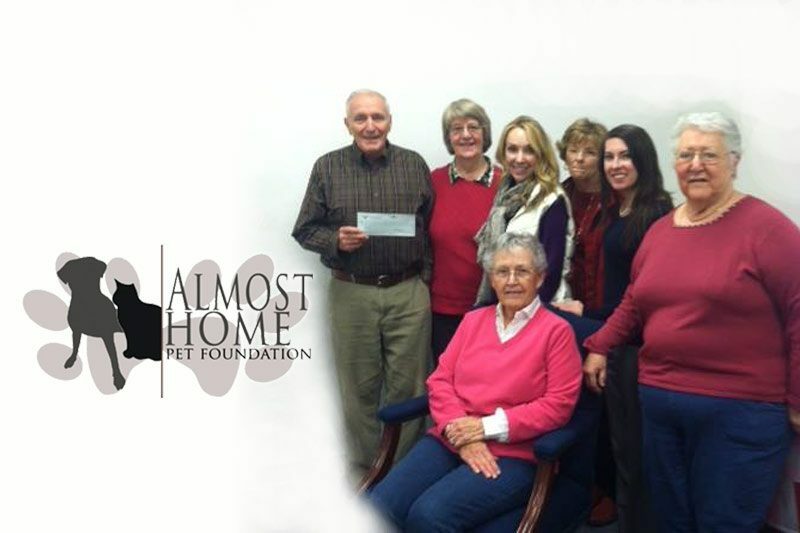 The Almost Home Pet Foundation has served the Rhea County community since 2007. The Almost Home Pet Foundation is committed to reducing suffering and death of companion animals through proactive partnerships and sustainable programs that address: affordable spay/neuter, fostering and adoption of animals, and community education on responsible pet ownership.